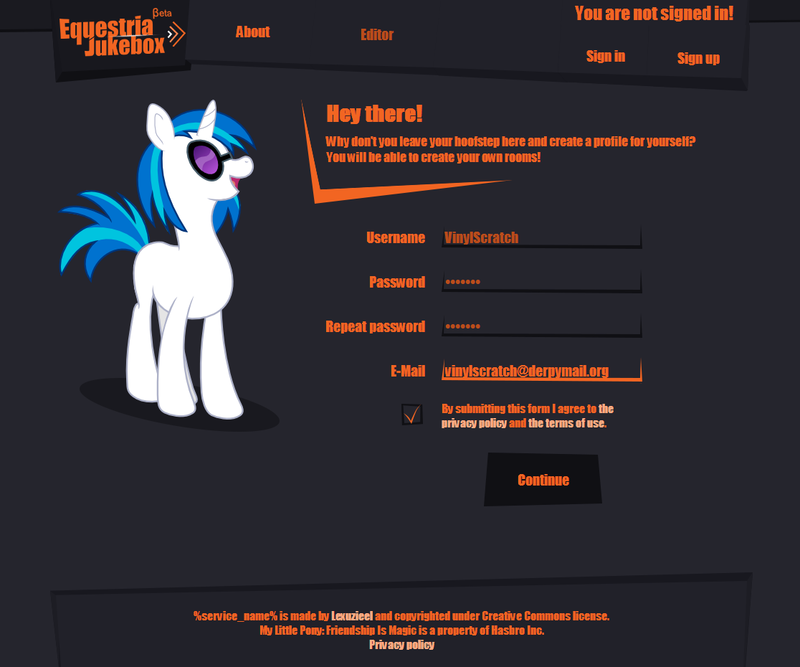 From what I've gathered, the pony creation service will be available to all, although users will have to sign up to have access to some of the more advanced features such as joining/creating chatrooms. Upon signing up users will be given a quick tutorial on the site's usage or something. 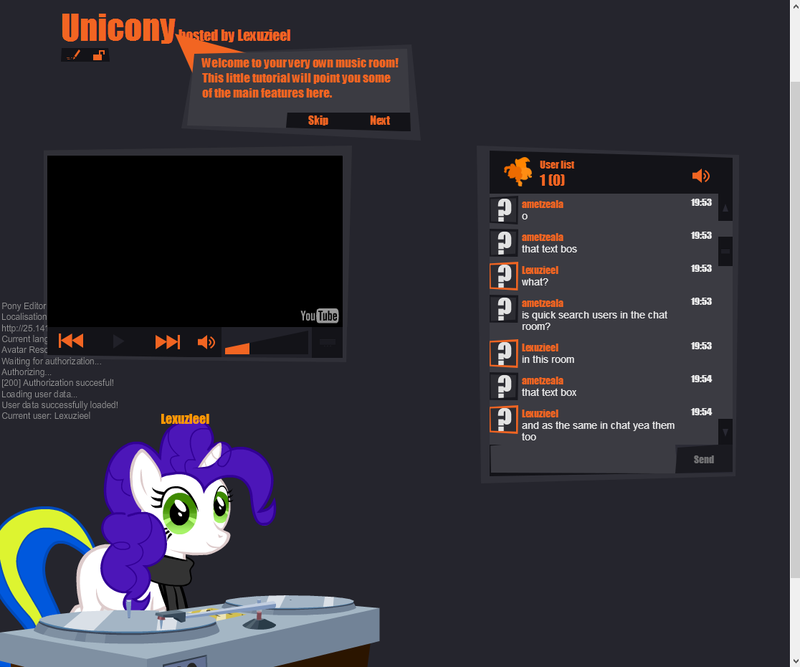 The Youtube player from the original app has been carried over to this new version, allowing the owner to cycle through music tracks and whatnot while people chat about stuff. User avatars will also be automatically generated from the OCs that they create with the site, which is pretty neat I guess. ...Come to think of it, this is a lot like Lunasync but with OCs instead of Luna. 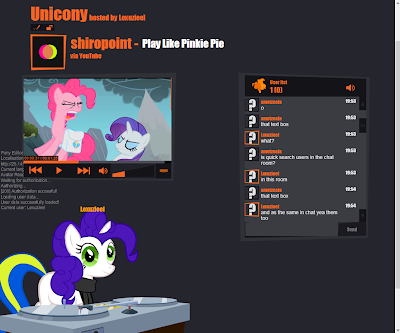 And now we've come to the feature everybody cares about the most: the pony editor. 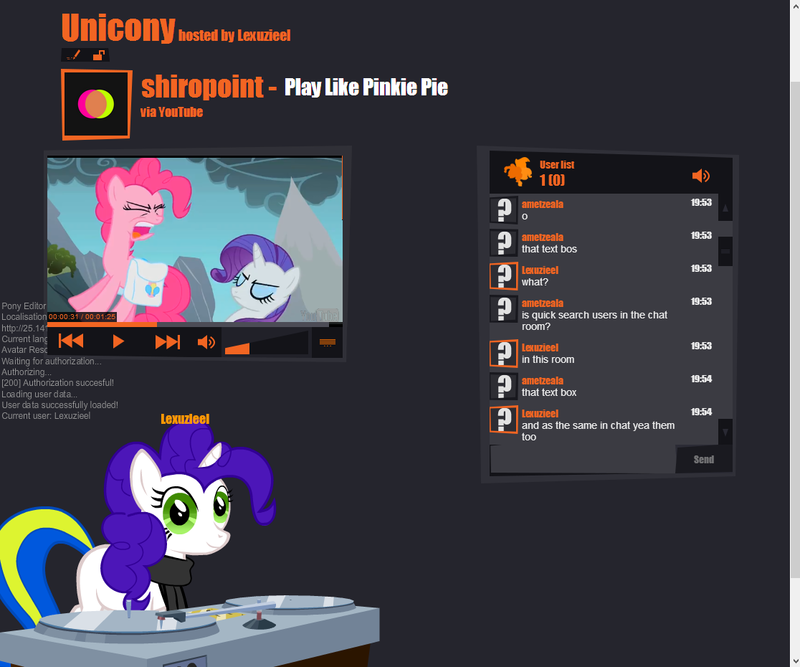 Users of the service's predecessor should feel right at home, and will probably be quite pleased once more manes/accessories are added. 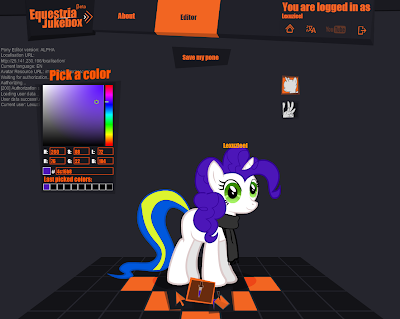 This time around the Lexuzieel apparently has some people to help him make these, so hopefully the project won't stagnate in quite the way that the Pony Avatar Creator did. 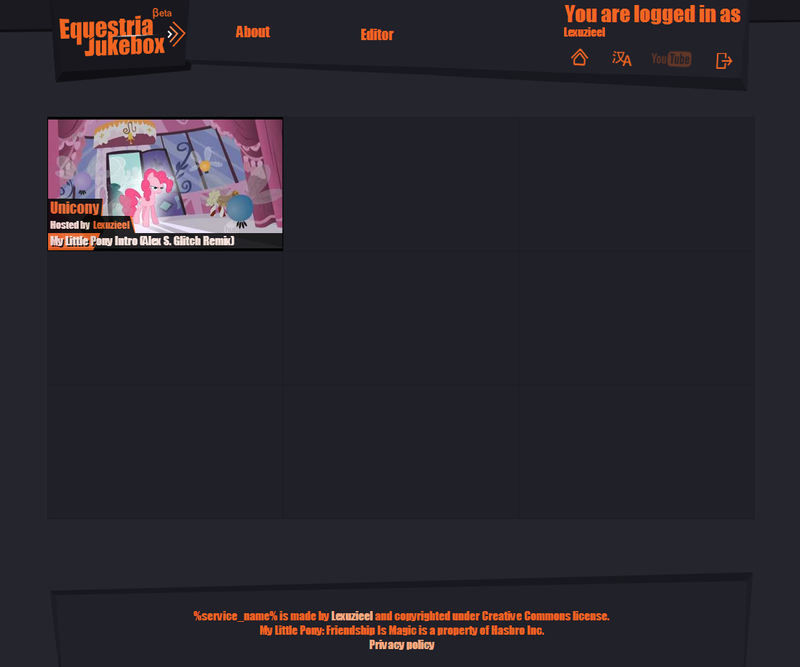 In a way I almost wonder if Equestria Jukebox really needs to be this big, frankensteinian web service instead of just a pony creation utility, or exactly how Lexuzieel plans on getting the money for hosting this, but we'll get to that once the open alpha has been out for a while. 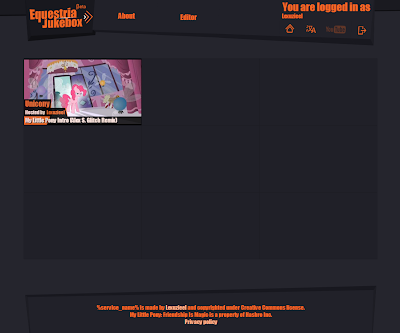 Lex is also looking for translators or something so the site will be accessible to a wider audience, so if you're interested you could contact him via his steam account (Lexuzieel) or his Skype account, alexrurm.